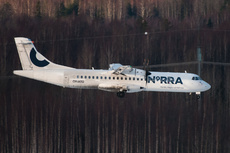 NoRRA flight AY1071, an ATR 72-500 was involved in a serious runway incursion incident on takeoff from runway 22L at Helsinki-Vantaa-Airport, Finland. Visibility was good at the time of the incident and the snow clearance was being done following the previous day’s snowfall. Two vehicle operators noticed the take-off and stopped ahead of the runway on the link taxiways. The third vehicle was working so far ahead close to the other end of the runway that the turboprop aircraft in question managed to get airborne before that point. The flight proceeded to the destination, Riga Airport, Latvia. The time-consuming snow clearance operation had not been agreed on in advance, as prescribed by the Memorandum of Understanding signed between the ATC and aerodrome maintenance. Rather, each vehicle operator had individually asked the ATC for permission to work on the runway. The runway was not closed for the duration of the maintenance, which would have been indicated by the colour red on the ground control radar screen and, thus, warned the air traffic controller. The controller issued the take-off clearance after having both looked outside and checked the ground control radar. Each vehicle happened to be off of the runway at that point in time, therefore, the runway appeared to be free. Nor did the vehicles’ ‘strips’ on the ATC system’s touch screen monitor, i.e. the ‘e-Strip’ display, sufficiently capture the controller’s attention because they were the same colour as all of the other ‘strips’ on the display.